Ultimate 100 Deals Mastermind - Kathleen Black | Real Estate Coaching & Consulting Inc. If you are a 100 Deal+ Producer or Team Leader and looking for something new and different this is the event for you. Our last 100 Deal+ Mastermind was represented by approx. 20 selling 4000 transactions+ per year as a collective, and represent BILLIONS in GROSS SALES VOLUME. These numbers consist of individual Producers and Team Leaders only. We are not mixing Broker Owners with 100’s of agents doing average production. This event is targeted to bend what is possible in a business model by combining world class service experiences powered by Systems, Training, Tools, Technology, Unique Ability, & Leverage to create maximum results PER Team Member. We are pushing the envelope with this one, and thrilled to see the final list of “Master Minds”! PLEASE NOTE: WE HAVE UPDATED THIS EVENT, AND YOU MUST BE WILLING TO BRING SOMETHING TO THE TABLE AS A SPEAKER, PANELIST, OR ACTIVE MASTER MIND. WE WILL ASSESS THE MOST RELEVANT SYSTEMS, TOOLS, TECHNOLOGY, RESULTS, EXPERIENCES TO SERVE THIS YEAR’S EVENT BASED ON SURVEY RESULTS. We are looking for people who are open fully and willing to share honestly and ruthlessly. This means you are showing up with a growth mindset. The advances of a growing business are in the margins. Think magnifying glass, and come prepared to refine the nuances of your business into a well oiled machine! Together this group will change the industry and create greatness all over north America. You will have open discussions on numerous topics and be exposed to the greatest systems and plans that are currently being used, from the people using them. As always, we seek to get out of the stuffy conference centers and hotels when ever possible. 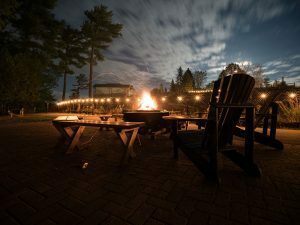 This event will kick off with a net working reception and registration, followed by a day and a half of sessions and wellness options on site at beautiful Taboo Muskoka, on beautiful Muskoka Lake. 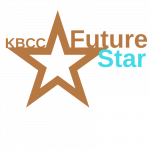 Apply as a Rising Star! Tell us Why YOU should be selected to join us at this pinnacle event. Throughout her career, Nadene Milnes has made it her mission to build lasting relationships with her clients and that of the Real Estate community. With a background in Business and a successful Entrepreneur, Nadene brings to the team her strong business expertise along with a keen sense of judgment. The key to building long-term relationships with her clients stems from an honest, open approach with a focus on always fulfilling her client’s best needs first and foremost. Nadene always has her foot in a business opportunity or investment, when it comes to earning money in Real Estate; she is the one to talk to. 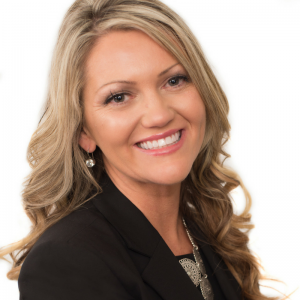 Emily has spent the last decade helping clients buy and sell homes in the Niagara Region. She is one of the most recognizable names in Niagara real estate and owes her success to her personable nature and innovative marketing. Emily was one of the first pioneers of real estate video in the Niagara Region. 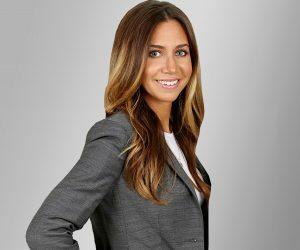 Emily confidently leads one of the top real estate teams in Niagara, selling more than 200 units combined as a Team and grossing over $80,000,000 in sales in 2017. Emily prides herself on the growth and development of new agents both on her team and at Revel as a whole. When she is not meeting with clients, taking calls or listing properties Emily makes her self available as a mentor, guide and confidant to new and experienced agents alike. Unparalleled marketing and selling strategies coupled with strong negotiation skills have earned Emily the title of listing and marketing specialist. Emily was a pioneer of video in the Niagara real estate market. 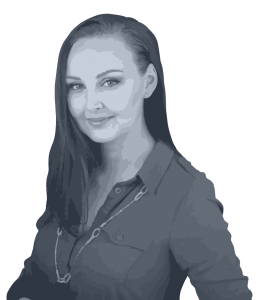 Emily has extensive experience in selling residential properties and offer handling. People have opened many doors for me. I have a loving family, great friends, and the support of many people that have guided and mentored me. I am Anthony Brown, later I will describe what I have accomplished. Right now though, I want to explain something to you that is very important to me, explain to people who may give me the chance to provide them my services, of what drives me. This is not the resume, this is the person. Giving back to the people around me defines my life. The truth of the matter is that from my family to the many people I have met there is one thing I have learned, truth. To seek and tell the truth is the center of honesty, integrity and ethical behaviour. If you choose me to help you find a home, sell one, or any one of the many services that I may provide as a REALTOR®, you may trust in this, I am an honourable person both in business and in life. Real Estate like all business can be tough, but it must be fair and honest. This is why I am proud to be a REALTOR®. A licensed REALTOR® provides good counsel and good service to all that engage them and must have a moral and ethical compass. This is my promise to you and I do not break promises. 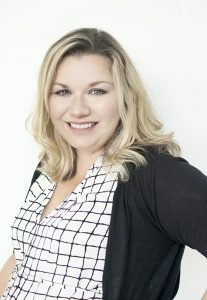 Melissa is a determined, quirky, fun and energetic Real Estate Broker, who loves her career and her clients. She has worked through some of the most trying real estate markets and is still feels that being a Realtor often does not feel like a job. She is a member of both the Durham/Toronto & Northumberland/Trent Hills Boards and services both communities & surrounding areas. She possesses a strong understanding in Rural Residential Properties and Hobby Farms and truly enjoys the process. She loves to learn, often taking Continuing Education Courses to improve her knowledge and to give a better client experience. Her and her husband are proud owners of a little Hobby Farm in Trent Hills, having a couple riding horses, several laying hens, a dog and 2 farm cats. 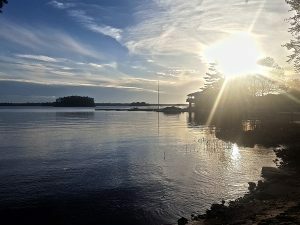 Both Melissa and her husband were born and raised in Northern Ontario and returning to their roots of country living is what brought them home. 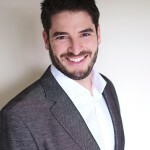 Andrew Fogliato is a Facebook Ad Strategist. 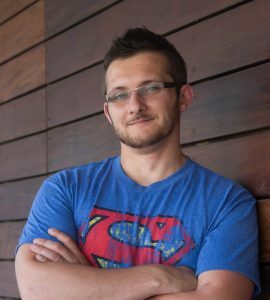 From his start as a real estate agent, to becoming a trainer, and then launching Just Sell Homes, a digital marketing agency for the real estate industry. 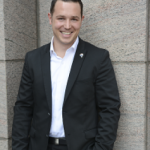 Andrew has continued to immerse himself in the industry and help get results for agents, brokers, vendors, and coaches who serve the industry. He hosts his own show called “Over a Pint” where he has conversations with interesting people across the business world. 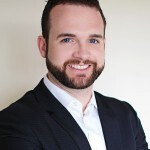 He’s spoken at events such as the Annual NAR convention, Inman News, OREA REALiTY Conference, Banff Western Connection, and so many others. Andrew has a passion for marketing, real estate, and business but when he’s not working he’s spending time with his wife, two daughters, and their dog or playing basketball, mountain biking, and writing biographies in the 3rd person. 30 Minute Mastermind: What is Your Worst Mistake in Business Building, Why? What did you Learn? 4:30pm Free Time! Enjoy the Outdoors! 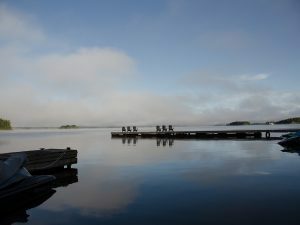 9:00am to 10:00am Enjoy Lake Muskoka! Thank you! We look forward to seeing you at Ultimate 100 Deal+ Mastermind. Take Advantage of Event Pricing available for you and your entire team for Ultimate Team Summit in November. Pricing in effect at Ultimate 100 Deal+ Mastermind ONLY! A number one concern for teams today is finding top talent; getting people who understand the benefits of being on a team and are willing and able to be team players, while at the same time, being killer Real Estate Consultants for their clients. With all the new and changing technologies, what is the best way to recruit? How do we change people’s mindset from the “ME ME ME”, that is the independent business owner, to a “WE WE WE”, that is a focused and driven Real Estate Team, looking to dominate their market? At the 100+ Event, you, along with other Team Leaders, Managers and Top Producers, will be assigned a moderated table and discuss this in detail. 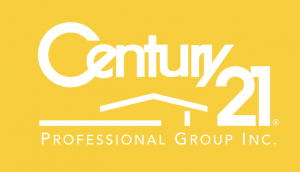 Then, every hour or so, you will move to a new table, to yet again, be engrossed in a new topic with new people, getting new ideas and networking with the very best in the Real Estate industry. To get your ticket to this amazing event, visit the link below and complete the application. We know Top Producers are not use to proving they belong, and that’s why we are making sure that only those who understand the changes high volume deal production creates, make it to the tables. Lastly, if you feel you belong, but don’t quite make the 100 deals threshold, let us know your story, show us what you will offer the room. We have a 2 spot minimum and only the Best will be given entry, so, IF YOU BELONG THERE, WE WANT YOU THERE! The latest topic of conversation is: Building a Well Known Brand! Do we keep our name in the team name or go with a generic and saleable name? Do we stay a part of a major Real Estate brand or start our own brokerage? Do I remain in my brokerage office or breakout on my own? This topic is involved in so many ways for a Team. What colours to choose…do I create a fully integrated approach across all marketing? Do I pay a high-priced firm, or get a VA to design? This topic will spark amazing conversation that I cannot wait to be a part of! The Salesman is DEAD! Long live the Consultant! We know that has been a mantra of our company and its followers for years now. But, how do we accomplish this? How do I train my people? How do I get people to remain connected and engaged with the Team mission and values? How do I get excellence out of my team and get them to remain with me long term? What are the current tools and tactics being used by the top teams in the industry? Why do they get more out of each team member and keep that amazing smile on their faces? Why do some team leaders do 0 to 20% of the team’s business and other team leaders do 80-90% of the business? How do I make time for training and what should I train and when? To get your ticket to this amazing event you have to visit the link below. What if I want to come but I don’t want my competitors to hear my secrets? 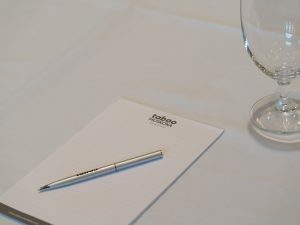 Well you have options for exclusivity, the most popular being TABLE exclusivity, this will ensure that every table you sit at will not include a direct competitor. 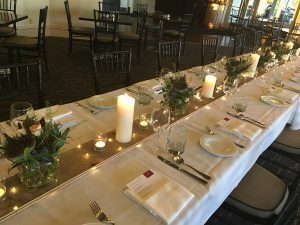 For the entire event, you will not have your competition at your table. You also do have the ability to have Complete Event Exclusivity as well. Visit the link and complete the application to get all the details for pricing and tickets today! So Please Apply Today and get your seat at this Amazing event! Is this a nightmare or a dream? The Holy Grail of Team building the inside Sales Department! Where to look, how to compensate, where to find them, how does it work, what is the reality? This department can soar a team to amazing new heights, or sink it into the underworld. Hear the success and failures of these departments and figure out if this is something for you right now or not. To get your ticket to this amazing event, you click on the link below. But I Don’t Drink and this is a WINE event! Yes, we are at a winery, and yes, some sessions will have wine, however, this is NOT a wine based event. Our Sessions are about having an immersive experience and diverse (optional) break activities. It is about showing interesting Team Building ideas, as well as providing a behind-the-scenes look at how another industry used systems and precision to dominate their field. Wine, and the consumption of, is not a required element of this event in anyway! Apply Today and get your seat at this Amazing event! Hailing from Marystown, Newfoundland, Sandra Pike possesses the perfect blend of smarts and style, but it’s her impeccable taste and exceptional business acumen that gets her noticed. 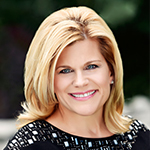 Sandra started her entrepreneurial journey as the CEO of her own Health and Wellness Company in the mid-90s, and then shifted her focus towards Advertising Sales where she excelled in assisting the members of the Real Estate industry. By providing the necessary marketing tools to several Builders and Real Estate agents over the years, Sandra fine-tuned her own skills and with her robust background as an entrepreneur became the highly successful REALTOR® she is today. When you sit down with Sandra to discuss how she will market your home, you’re not sitting down with a stuffy agent; you’re sitting down with a friend who knows the industry inside and out. 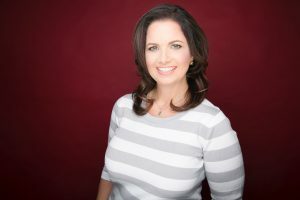 Her keen knowledge of retailing techniques and her growing Internet exposure are what make Sandra Pike a true, committed sales professional who always pinpoints her clients’ needs with a smile on her face. 190 + Deals Producer, #1 team at Re/Max House of Real Estate, one of Calgary’s top Re/Max brokerages. 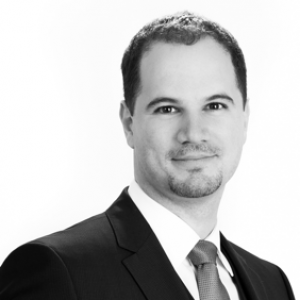 Active in Real Estate since 2000, Thomas has accumulated a thorough background in sales management, project marketing and investment analysis. Thomas focuses in the new home market and is the ideal partner when looking to develop and build multi-family or single-family homes in Calgary’s inner-city. Thomas is a valuable asset for builders and developers, offering comprehensive consulting services on a project-by-project basis. 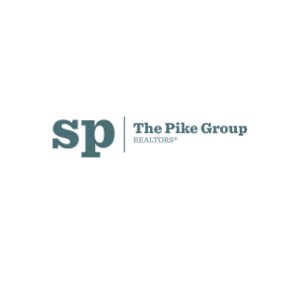 Over the years, Thomas has developed a keen eye for ridding Real Estate development projects of their marketing inefficiencies and execution challenges- and repositioning them for a more streamlined and strategically focused operation. As a real estate marketer, investor and consultant who has experienced many successes and challenges of his own, Thomas helps builders and real estate developers set priorities and avoid the common pitfalls that plague them. Frances has been a top-producing agent since 2006, consistently ranking in the top 10 in her office for successful sales. 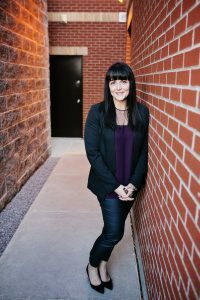 Her client focus and strong work ethic have led to her presentation with brokerage awards including the Maxwell Chairman’s Award, and the Re/Max Platinum Club. Frances has a strong reputation amongst both clients and colleagues as a knowledgeable, professional Realtor with unparalleled integrity. 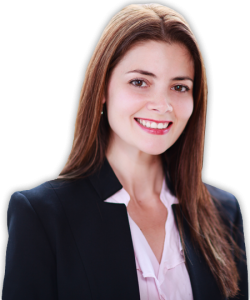 Frances excels at providing top-level real estate service and advice to each and every client, whether buying or selling their home or investment property. As a listing specialist, Frances highlights the importance of home preparation and staging, market positioning, and professional marketing for a successful top-dollar sale. 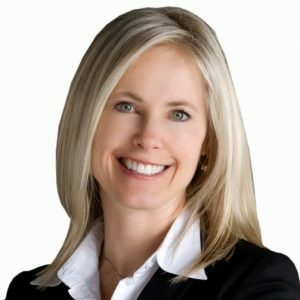 With a vast accumulation of knowledge and experience in the residential markets throughout Calgary, Frances is well positioned to offer quality advice and guidance in the home selling process. 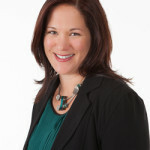 Frances has extensive experience in the inner city infill market, residential single family, and luxury condo markets. As a buyer’s agent, Frances brings a wealth of experience and impeccable client service to the task of locating your new home. Frances is the perfect agent if you are relocating to Calgary, as she excels in her evaluations of locations, neighbourhood amenities, and home styles. Frances is also well positioned to offer advice and guidance on the new home purchasing and custom home building process, having seen numerous clients through this process, and also having been through it herself. Frances demonstrates a true passion for Real Estate and brings this passion to each of her listings and sales. When working with Frances, you can count on being well informed and guided through all aspects of the real estate process. My passion for learning and growth drives me, it is constantly pushing me to do more and move forward in life. Melody May is going to be a fixture on the Montreal real estate scene for many years to come, and it’s her love for people that drives her. Born and raised in Montreal, Melody has been well-recognized as a Top Real Estate Broker with Royal LePage Village for over 15 years. Her extensive knowledge and insight into the residential real estate market are unparalleled, and she has earned the prestigious Director’s Platinum Award recognizing her place amongst the top 5% of brokers in her market. Melody has also been featured in Top Agent Magazine in consecutive years, among other accolades. Melody’s goal is to elevate her clients’ experience and ensure they feel supported and taken care of every step of the way, from the very first phone call to the close. Her strong base of loyal repeat clients is a primary reason for her success, and the fact that over 80% of her business comes strictly from referrals is a testament to how she consistently exceeds her clients’ expectations in an increasingly competitive sales environment in Montreal. Clients choose to work with Melody and her growing team, for the full service that she offers, her experience and knowledge of market trends and property values in Montreal, and for her impeccable ethics and professionalism that she brings to every transaction. Her commitment to people extends beyond her clients: Melody has been honored with the “Quebec Individual of the Year” award for her extraordinary efforts and contribution in raising funds to help abused women and children through the Royal LePage Shelter Foundation. 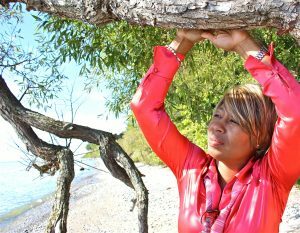 Melody now can focus on her career goals more than ever, with her three kids all attending University in Montreal. She has plans for continued growth and expansion, and enjoys devoting time to her health and fitness with a regular practice and regime of yoga, spinning and crossfit. She feels that the discipline and mindset she brings to the gym, for her, is easily applied to her business. Mike has been a licensed Real Estate Agent for 24 years. 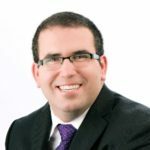 His passion for Real Estate has grown into building his own Real Estate Team in the town of Lucan (population around 2500) and opening a land development company, numerous rental properties and farms. 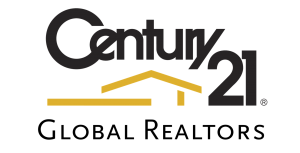 Mike started with Century 21 First Canadian in 1999 and has enjoyed his own satellite office for his team which include two other Sales Agents, and an Office Manager/Client Care rep in house. Our team specializes in New Home Sales, resale residential properties, investment properties and farm sales. We are involved in the coaching program to help build a strong base so we can expand in the future. Vice President Business Development, Top-Tier Leads. 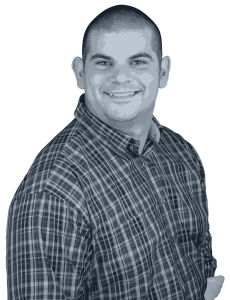 Micah has over 13 years of senior level experience in the real estate business. This includes over 10 years as a top-producing Realtor, running a successful team with RE/MAX, and as a Coach/Trainer throughout North America. 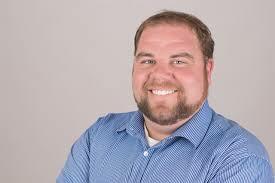 After using the Top-Tier Leads himself, Micah was so impressed with the program’s effectiveness for increasing communication and business with past clients, that he recently joined Top Tier’s management team and heads up their Realtor training operations. 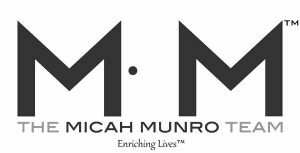 Micah Munro is a 10+ year real estate industry veteran and has helped hundreds of families with a wide array of real estate transactions. He attributes part of his success to growing up in a family that has been in the real estate business for over 40 years. Over the years, Micah has built a Real Estate team. The team is continuously growing and learning through the skills they have developed. Micah has sold over 130 million dollars in Real Estate. 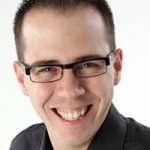 With a background in entertainment marketing and promotions, Micah has a vast network of contacts that have enabled him to build a solid foundation of satisfied clients. Mr. Munro has a long record of successfully guiding his clients through every step of the home buying and selling process. 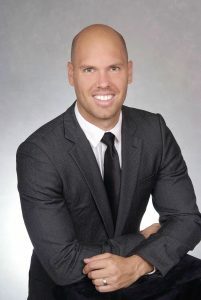 Micah specializes in combining his expertise, market knowledge, and effective use of real estate technology to produce results that consistently exceed the goals and expectations of his clients. 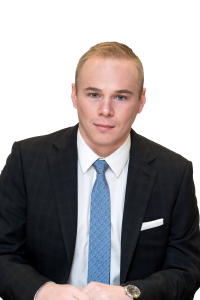 In the last several years, Micah has become passionate about the purchase and sale of investment properties for himself as well as his clients. “I love to help friends, family and clients reach their financial goals and dreams. 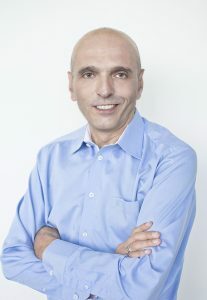 Reuven Gorsht is the CEO of MoveSnap, a company that is transforming the way that people organize and complete their relocation tasks. 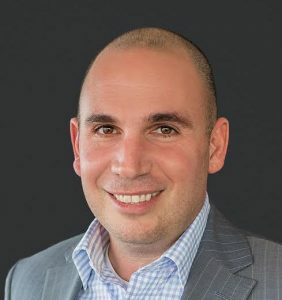 Prior to co-founding MoveSnap, Reuven spent 15 years helping fortune 500 companies evolve how they delight their customers with the best experiences. Reuven has been published in Forbes, Business Week and the World Economic Forum. He holds degrees in business and human resources and is an alumnus of the Harvard Business School. this session with a game plan of your next steps to growing your business online. He’s been interviewed on Sirius XM and is a frequent guest on industry podcasts. with several real estate tech companies. 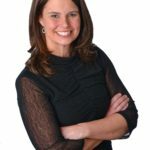 Specializing in Muskoka waterfront properties, Heather Scott is a Certified Luxury Home Marketing Specialist and a proven negotiator. An advocate for her clients who will handle their real estate needs with the utmost professionalism and care. To her clients, Heather is a trusted real estate advisor before, during and after every transaction. To her peers, Heather is highly regarded as an integrity-powered professional and a formidable negotiator. Heather prides herself on educating her clients about the real estate market, negotiating the best possible price and terms for their sale or purchase of a property, and creating a positive and memorable real estate experience for each and every client. 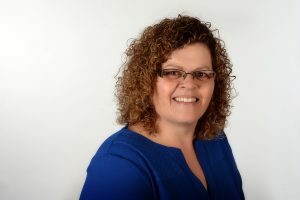 A passionate advocate of supporting and growing small business in her local communities, you’ll often find Lindsey promoting her love for all things wonderful in and around the Cobourg and Port Hope areas of Ontario. Whether it be an amazing volunteer opportunity, the best spot for dinner, or one of the many incredible sites within Northumberland County, Lindsey wears her dedication to local love proudly on her sleeve. Momma to 2+3 kids (holla blended family! ), Lindsey and her hubby like to walk the (small business) walk, as they also own a local nutrition store. Quick to connect, her clients know that she is much more than just their real estate salesperson, and the relationship built goes far beyond a transaction. 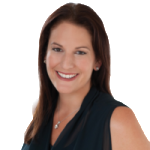 Lindsey’s relationship-based approach lends itself to a deeper trust, and a further reach, as the large majority of her clients over her 12 years in the business, continue to be repeat and referral. A top producer within her brokerage, Lindsey is continually looking to cultivate ideas to improve both personally and within her business. With years of sales experience under his belt, Chris brings a new swagger into the real estate industry; putting his clients needs first and treating them as his family. His background is filled with numerous service and sales positions that allowed him to learn what not to do and how not to treat a client. He thrives on perfection, driven on results and works in his clients best interest at all times. In 2016, it was his best year yet with over 60 transactions and Over 18 million dollars in real estate sold. 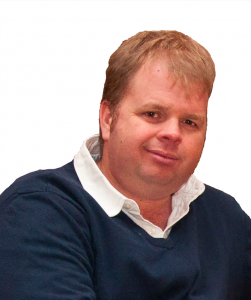 Chris is very passionate about his family, which is why a family-first approach to business is his bread and butter. Chris and his fiancee has five beautiful children and one furry friend named Titan. When Chris isn’t selling real estate, he loves spending time with family, anything sport related or traveling. Are you selling or buying soon? Choose an agent to be reckoned with, Call Chris today so he can do the hard @#!&, so you don’t have to. You may have seen me around at some of Chris’s events or read some of my posts over the last few months but I would like to officially introduce myself and my role in The Costabile Group. I am very excited to be apart of this fast growing team of successful individuals as Brand Ambassador and Events Coordinator. My role will include handling most social media, survey/contest organization, helping to obtain new and grow existing business relationships, and of course event coordination among many other duties. I am really looking forward to meeting and working with many of The Costabile Group’s clients and business associates, and making upcoming events even better! Ernie Pavan has been a leader in the world of education and training for the past 28 years. Ernie works with individuals, teams and organizations to achieve personal and professional mastery. His mission is to educate, inspire and transform. Passionate about the development of leaders in the field of empowerment and transformation, Laura Slinn exited a successful career as a Creative Director in 2011 to coach and train using powerful tools for quantum change and development. In 2015, Ernie and Laura joined forces. Their combined experience, synergy, chemistry, and shared values have made this dynamic duo a tour de force in the world of NLP and empowerment training. Together they launched their new flagship weekend program Awaken Your Potential™ which has been received with tremendous approval and rave reviews, and they created the Success Mastery™ series of training events to provide on going support and high level learning for their graduates. In 2016, they launched Avalon Empowerment, a highly respected Board certified Training Institute in the top technologies for advanced awareness and quantum change: Neuro Linguistic Programming, Creating Your Future Processes®, Hypnosis and Coaching. Ernie and Laura are board certified Trainers and Master Practitioners of these technologies. As a 5th generation Haliburton County resident, there’s no place Troy hasn’t personally explored. 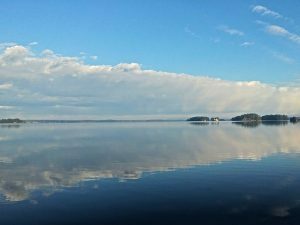 His love for the outdoors has nourished his knowledge of what this picturesque landscape has to offer and what prospective buyers can expect from the different lakes. He also has the previous experience of building spec cottages on lakefront developments and selling them. Because he’s coming from the top sales team for many years running, he brings irreplaceable experience with him from the countless deals he has had a hand in, and he has personally moved many of the properties in this county. 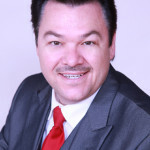 The connections he has made over his many years in the business have not only created a referral network that will get the job done, but also will provide you with the top notch professionals to protect your interest and make your transaction go seamlessly. Ralph has always known he wanted to buy, build and sell homes. And once he sets his mind to something, there’s no stopping him! 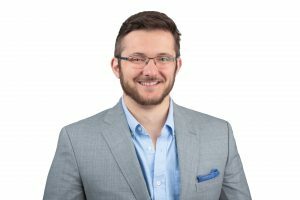 After he completed his bachelor of commerce degree from the University of Guelph, with a major in housing and real estate management, while earning his real estate license at the same time, Ralph accepted a position with Mattamy Homes. During his time with Mattamy, Ralph built and closed more than 2,000 homes, helping thousands of homeowners along the way. He soon realized that his passion was not in merely building homes, but it was in helping people. 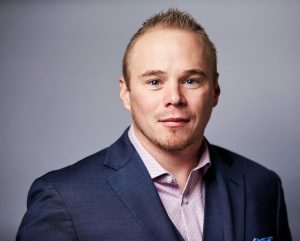 He decided to leave Mattamy to start his own custom home building company, where he would have full control over quality and the experience of his clients. Ralph brings this passion to his career in real estate. Since becoming a professional realtor nearly 10 years ago, he has been able to help hundreds of families achieve their homeownership dreams, and he doesn’t take this responsibility lightly. 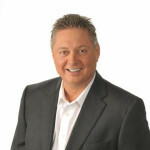 Ralph is first and foremost committed to his clients and serving their real estate needs. In fact, more than 90 percent of his business comes from client referrals. People like him! 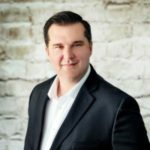 With an economics degree, a real estate license and his home building experience, Ralph truly brings a unique understanding of homes and the market to his clients, particularly in the GTA market area, where he lives and raises his family. 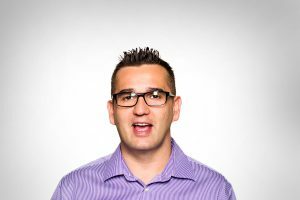 It’s Ralph’s vision that brought together the HelpingYouMove team, and it’s his fierce negotiating skills and ability to creatively market homes that ranked him number 54 out of 19,100 ReMax realtors in Canada in terms of sales volume for 2015. Ralph is all of this, plus he’s a devoted husband and father. He spends his free time playing soccer and hockey, watching funny movies, and enjoying life with his wife and three kids. 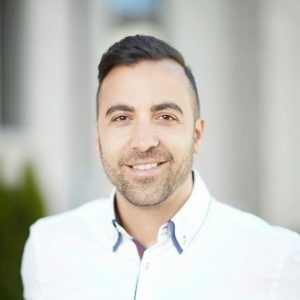 Ado Topuz is the CEO & Founder of AgentLocator which has established itself as a leading platform for real estate lead generation across Canada. Before this role Topuz was involved in various startups some of which he started & sold himself as well as those in which he worked as a developer. 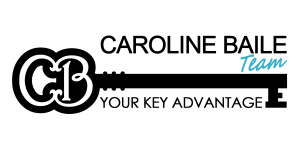 Topuz holds a degree in computer programming from Sheridan College. In his spare time he enjoys relaxing on the beach with his wife & 3 kids. 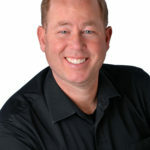 Bringing over 10 years of experience and career sales of over $500 Million, Jeff Ham, Team Lead and co-founder of Jeff Ham Team- The Fresh Approach, is recognized nationally as a top producing agent year after year in the top 1% in Canada. He was awarded by REP Magazine as one of the top 35 agents under 35 in the country in 2017. 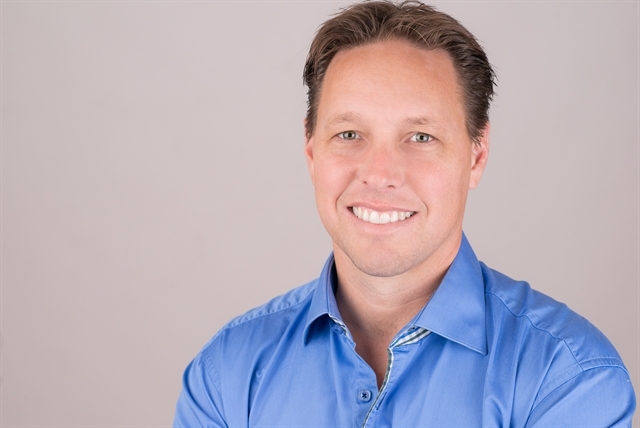 With the majority of his business coming from direct referrals and repeat business, Jeff’s total annual sales consistently far exceed the industry standard. His ongoing career success has been driven by his ability to attract, nurture and retain genuine relationships with his clients, and by ensuring each transaction, big or small, is handled with the utmost care, dedication and enthusiasm. His dedicated approach and professional passion, coupled with an engaging and dynamic personality, have earned him the confidence and loyalty of his valued clients. 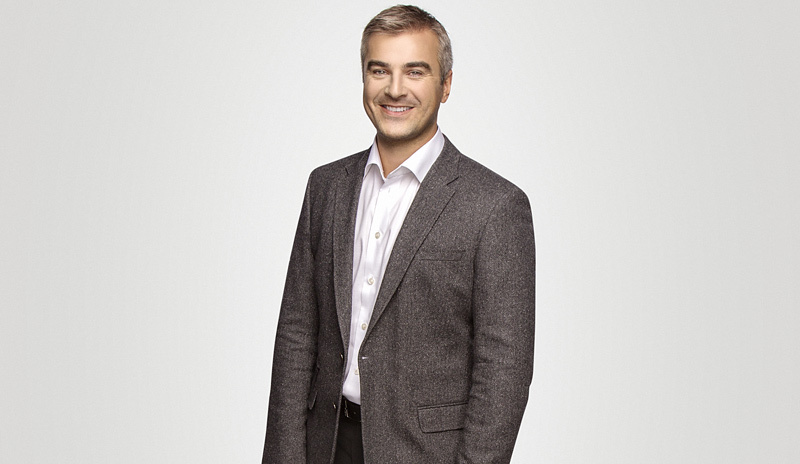 Jeff studied commerce at the University of Toronto and has been investing in real estate since the age of 18. Jeff has lived, worked, and invested throughout the Greater Toronto Area, including Mississauga, Toronto, Oakville, Milton and Burlington. As a result, he has first-hand knowledge and understanding of the real estate market in many areas of the GTA. 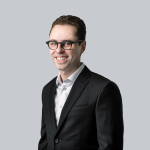 Jeff takes great pride in helping and guiding people through the buying and selling process, and understands it is both an honour and a privilege to be entrusted with the purchase and sale of his clients’ most important investments. He deeply values integrity, work ethic, and a commitment to excellence and has enlisted a team of 8 like-minded real estate professionals who work together to yield record transactions, providing the best buying or selling experience for all our clients. 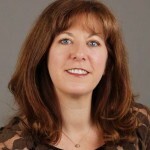 One of the team leads and co-founders of our group, Christy has been licensed since 2005. A tough and skillful negotiator, Christy has been able to ensure a successful sale in any economic environment resulting in her leading her former team “The Fresh Approach Team” to top 3% status in Canada. 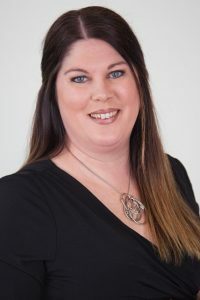 Through merging with Jeff to create Jeff Ham Team- The Fresh Approach, Christy has now built a business with the highest standards and level of service that can be passed onto all of her clients. She treasures the relationships that she has built with clients in the industry over the last decade and continues to learn and grow every day. A true leader, Christy’s vision for our team is to create something so big that it causes industry influence and allows her to fulfill an even greater passion of hers, giving back!!! 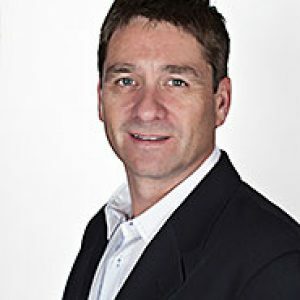 Kevin is a professional KBCC Elite Real Estate Coach, Team Leader, and Salesperson, with over 24 years of Real Estate sales experience. 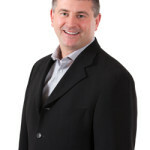 In his time as an Agent, Kevin’s team was in the top 2% amongst all Royal LePage Canada and was consistently the top in production at his Brokerage. Kevin believes that hard work and consistency are some of the keys to success. His years of dedication to his craft has provided him with a wide breadth of knowledge and experience in training, leadership, sales skills, systems, management, and marketing. Taking the approach of looking at every Real Estate deal like a puzzle, Kevin believes that by putting the pieces together correctly, without compromising or cutting corners, and without forcing pieces in place but rather guiding them to their appropriate spots, he will walk away from every assignment with a positive result for both his team and his client. For Kevin, it’s the journey that’s equally as important as the destination. 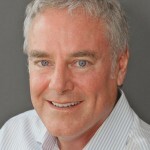 Kevin is expertly trained in Neuro Linguistic Programming (NLP) as a Practitioner, and DISC Profiling, and truly believes that everyone is in complete control of how they choose to react and respond to any circumstance, and that we all have the capability to shape and direct our businesses and personal lives into the results we desire. Kevin contributes his success to his family including his wife Kate and his four beautiful children. Additionally, Kevin is passionate about the time he spends with his family, coaching his entrepreneurial clients, selling Real Estate, and raising quality beef cattle. Kate Lowes joins the KBCC team, eager to surround herself with other individuals who believe the sky is the limit. 100% committed to life long learning and a growth mindset, Kate believes in the potential of each person to reach greatness. 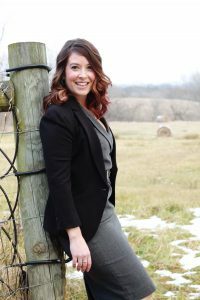 Kate has spent her real estate career in the Kawartha Lakes and Peterborough region, covering residential, rural residential, agricultural, and equestrian properties. Having been a member of one of the top teams in the Kawartha’s region she is a strong advocate for a dynamic team structure, that supports the success of the individual and the victory of the team. As a master practitioner of NLP Kate brings a wealth of knowledge of the science of the mind, and tools to allow each person to truly harness their own potential for unprecedented success. The only limits that exist are those within your own mind, and with Kate’s help, clients will soon blow beyond those boundaries to their fullest potential. Sherpa, Mountain Mover, or Trusted Mentor, by any other title Michelle Leong Francis is a Business Architect who has lead direct reports 25-wide and developed teams 250-deep for iconic corporate businesses such as Rogers Communications, Cara Operations, and the Heart and Stroke Foundation of Ontario across the province as a Director of Business Development and VP, Human Resources & Operations. With over 17 years in entrepreneurial start-ups, Michelle has studied the psychology of Cultural & Emotional Intelligence, Cognitive Modalities and Crisis Intervention as key tools in her arsenal of Team Leadership. 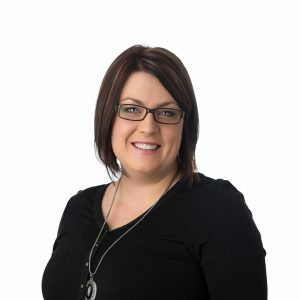 Michelle has travelled the business spectrum, transforming solo-business owners and intrapreneurs, to cohesive team members performing complaint organizations processes. Michelle has become no stranger to the transformative power of consultative business modelling and proficiency in the essentials to success. 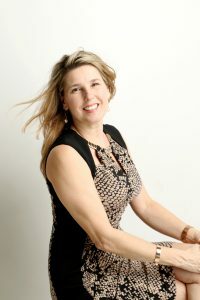 She has been recognized by the Canadian Sports Hall of Fame as an amateur athlete and educator for bringing the game of sport to life through business performance strategy. Her perseverance, raw energy and infectious smile makes her a sought-after coach and mentor. Michelle Leong Francis is a true dogmatic visionary. Title or rank – #1 Broker in the Niagara Region in 2016 & 2017 based on MLS statistics from Jan – Dec 2016 & 2017 from the Niagara Association of REALTORS. #1 Independent Non Franchise Brokerage in 2016 & 2017 based on MLS statistics from Jan – Dec 2016 & 2017 from the Niagara Association of REALTORS. Bio -Ryan Serravalle is a proven leader, entrepreneur, marketer of the year, and a professional closer of real estate deals. 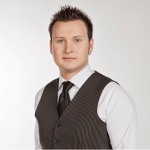 With over a billion dollars sold in real estate and twice recognized as Niagara’s number one seller, he has achieved an impeccable and elite reputation for quality service and client satisfaction. He is the founder, creator and broker of record for Revel, an upstart independent real estate company that has revolutionized the Niagara Market with record breaking sales statistics, Since Revel’s inception, Ryan has signed on nearly 80 agents and expanded Revel’s sphere of influence to three more branch offices in Fonthill, St. Catharines and Niagara-on-the-lake. 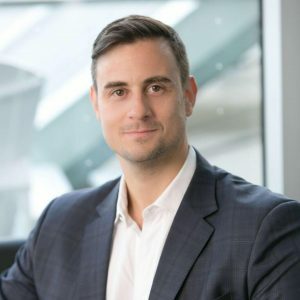 Ryan is equally motivated by an insatiable desire to “make deals happen” in the same way he is making “Revel” happen as a philosophy that incorporates innovation, modern marketing applications driven by an avant-garde vision on how to sell houses. Versatile, a lifelong learner, and an avid family man, Ryan’s creative talents are best exemplified with new directions like Revel Style Magazine and Revel Luxury, where Revel not only sells homes, but lifestyle. Originally from Newfoundland, Lorraine started her sales experience in Ottawa in 1993 and was quick to reach top sales levels in various industries. She started her Career as a Realtor® in 2000, and once again, she was very quick to achieve “Awards” status each and every year since. Lorraine has now ranked in the top 1% of Royal LePage agents across Canada for the past eight years. Since her start in real estate, Lorraine has built a reputation as an extremely dedicated, honest and motivated Realtor®. She has become well known to have a very warm “down East” personality and consistently receives high praise for how easy she is to work with. Lorraine has an in depth knowledge of her surrounding real estate market, an astute appreciation for the BGRS Integrated Relocation Program, and also works very closely with the area’s top quality builders. She has, in turn, established herself and her team as highly specialized in military relocations and new builds. Lorraine also receives much acclaim for spearheading and coordinating many charity events over the years. Well deserving charities like “Make a Wish foundation” and “Three Oaks”, the local women’s shelter have come to know Lorraine O’Quinn as a major ally to their causes. Caroline is an award winning Real Estate Broker earning the highly acclaimed “National Chairman’s Club” Designation (Top 1% in Canada) and Diamond Award Winner. Caroline is a Designated Luxury Marketing Specialists, Seniors Specialist, Buyer’s Specialists, Master Negotiator and trusted source for real estate information, being interviewed by the Toronto Star, Globe & Mail, Zoomer magazine and many other national and international publications. Specializing in Upscale Residential Neighbourhoods and Relocation for Executives and their families, Caroline will ensure your move is not just about finding the perfect home, but helping you find the perfect ”fit”. Everything from the right neighbourhood, schools, sports teams and extra curricular programs will be taken into account to ensure your move will feel like home! 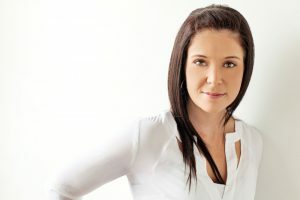 Whether you are looking at purchasing your first home, moving up to something a little larger, downsizing, finding a recreational property or investment opportunity, Caroline will ensure you the most comprehensive and professional service available.Caroline approaches her clients’ real estate goals with passion and professionalism, dedicated to achieve the best possible results. With an unwavering commitment to customer service, Caroline ensures your next move will be successful! You can call the Reservations Department toll free at 1.800.461.0236. Please use Group ID # 462370 for the rooms being held in the block Deadline is MAY 3, 2019. which is 45 days prior to arrival. Please note that delegates will be required to leave a deposit of 50% of stay including applicable fees and taxes (Minimum one night). The deposit is fully refundable up to 7 days prior to arrival. The balance of your stay will be charged 7 days prior to arrival date and is non-refundable.